Born: 22 January 1831, London, England. Died: 19 October 1899, Cape Town, South Africa. Francis Guthrie, mathematician and botanist, was the son of Alexander David Guthrie and his wife Kitty, born Thompson. He obtained the degrees Bachelor of Arts (1850) and Bachelor of Laws (1852) with first class honours at University College, London. In 1852 he first formulated the four colour conjecture, which taxed the minds of mathematicians until it was eventually proved in 1976. It states that the minimum number of colours needed to fill in any map, real or invented, so that neighbouring countries are always coloured differently, is four. Francis's younger brother Frederick brought the conjecture, together with Francis's unsatisfactory proof, to the attention of their professor of mathematics at University College, Augustus de Morgan. He put the "four colour problem", also known as "Guthrie's problem" to other mathematicians. A note on its origin was published by Frederick in the Proceedings of the Royal Society of Edinburgh in 1880. Guthrie worked as a consulting barrister in London for some time, but was less interested in law than in mathematics and botany, and attended lectures in the latter subject. In April 1861 he came to the Cape Colony to teach mathematics at the newly established Graaff-Reinet College. In addition to serving as professor of mathematics there he was also principal of the college from 1870 to 1875. He gave a number of public lectures, particularly in botany, and persuaded Harry Bolus* to take up botany as a hobby. As a result the two became life-long friends. In 1871 Guthrie married Charlotte I. Grisbrook, daughter of Charles H. Grisbrook* and granddaughter of Dr F.L. Liesching*. At this time there was great agitation for a railway from Port Elizabeth to Graaff-Reinet, a project which Guthrie strongly supported. With Bolus, R.N. Rubidge* and others he took an active part in selecting an appropriate route for it through the mountains. These and other public activities made him a respected and well-liked citizen of the town. He resigned his post in 1875 and after a lengthy visit to England, accompanied by Bolus, settled in Cape Town. In November 1878 he succeeded G.F. Childe* as professor of mathematics at the South African College, a post he held for just over 20 years. He did not think much of lecturing but believed in personal tuition and was prepared to spend much time and effort on those who wished to learn. His role in the affairs of the college included serving as secretary of the senate in 1887/8, 1891/2 and 1894. In 1877 he became a foundation member of the South African Philosophical Society, serving on its council continuously from that year to 1894 and as general secretary in 1878/9. Guthrie's contributions to mathematics included a textbook, The laws of magnitude, or, the elementary rules of arithmetic and algebra demonstrated, which was published in London in 1870. That same year he published a paper, "On the square root of minus one" in the Philosophical Magazine. Turning more to mechanics, one of his early papers in the Transactions of the South African Philosophical Society, "Continuous girders, arched ribs and tension circles" (Vol. 1, pp. 127-147) formed the basis for later developments in aeronautical engineering. It was followed by a paper "On the free rotation of a rigid body", delivered before the society in May 1880. Guthrie had a life-long interest in meteorology and atmospheric physics. In 1862 he was one of only ten meteorological observers outside Cape Town who were supplied with a set of instruments by the Meteorological Commission of the Cape of Good Hope. After moving to Cape Town he became a member of the Commission, rendering long and fruitful service from 1882 to 1898. With John G. Gamble* he played an important part in organising simultaneous weather observations along the coast of South Africa for storm warning purposes, an undertaking that enjoyed the full support of the Cape government. His paper "The heat of the sun in South Africa" appeared in the Transactions of the South African Philosophical Society for 1877-1878 (Vol. 1, pp. 45-50), followed by a public lecture delivered under the auspices of the society in 1881 on "The sun as motive power". A paper on "Sea-levels in South Africa from barometric observations" was published in the Transactions for 1886-9 (Vol. 5, pp. 318-321). Two papers, "Cape meteorology" and "On rain-making" appeared in the South African College Union Annual in 1890 and 1891 respectively. 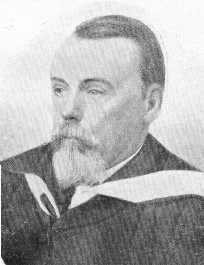 Several other papers by him on topics in the physical sciences were published in England, for example, "On the equilibrium temperature of a gaseous column subject to gravity" (Nature, 1873), "On the influence of temperature on the passage of air through capilary tubes" (Proceedings of the Physical Society, 1879), "Virtual velocities" (Nature, 1887), "Centrifugal force and D'Alambert's principle" (Nature, 1889), and "On the soaring of birds" (Nature, 1891). Guthrie's botanical activities continued during these years and resulted in a paper, "On the subjective causes of evolution as illustrated by the geographic distribution of plants", which was read before the South African Philosophical Society and published in its Transactions. In this paper he concluded that the existence of widespread plant species could be explained by independent simultaneous variations - a view regarded as possible but unlikely by H.W.R. Marloth* (1895). One of his particular interests was heaths and he collaborated with Bolus in a revision of the family Ericaceae for the Flora Capensis. Bolus completed the work after Guthrie's death and it was published under the names of Bolus, Guthrie and N.E. Brown* in 1909. Guthrie collected an extensive herbarium of the flora of the Cape Peninsula, which was presented to the South African College by his widow in July 1903. It was eventually housed in the Botany Department of the University of Cape Town as a teaching herbarium and reference collection of the Cape Peninsula for the use of students. The genus Guthriea and the species Erica guthriei were named in his honour by Bolus. As a person Guthrie was modest, kind, patient, and well-liked by colleagues and students. As a scholar he was well-read, an original thinker, and a hard worker. He served as a member of the council of the University of the Cape of Good Hope from 1873 to 1879 and as one of its examiners in mathematics in 1899. By 1898 he was in poor health, retired on pension in January 1899 and died later that year. Cape of Good Hope. Report of the Government Botanist, 1901. Cape of Good Hope. Report of the Meteorological Commission, 1880-1893, 1895, 1897-1899. Cape of Good Hope. Report of the South African College Council, 1898, 1899. Cape of Good Hope. Report on Graaff Reinet College, 1867-1875. Cape of Good Hope almanac and annual register... (title varies), 1862, 1878-1885, 1887, 1890-1894. Cape of Good Hope Meteorological Commission. Meteorological report, 1862. (National Library of South Africa, Cape Town, AZF 1897-2). History of meteorology in South Africa. Weather Bureau Newsletter, 1960, No. 139, pp. 1-48 (whole number, centenary edition). Jessop, J.P. Some botanists and botanical collectors associated with South Africa. Lantern, September 1963, Vol. 13(1), pp. 80-85. Maritz, P. and Mouton, S. Francis Guthrie: A colourful life. Downloaded from file:///C:/Users/User/Downloads/Maritz-Mouton-Francis-2012.pdf on 2017-5-1. South African Philosophical Society. Transactions, 1877-1898, Vol. 1-10. University of the Cape of Good Hope. Calendar, 1875-1879, 1898/9, 1899/1900. Wilson, R. Four colors suffice. How the map problem was solved. Princeton University Press, 2002.